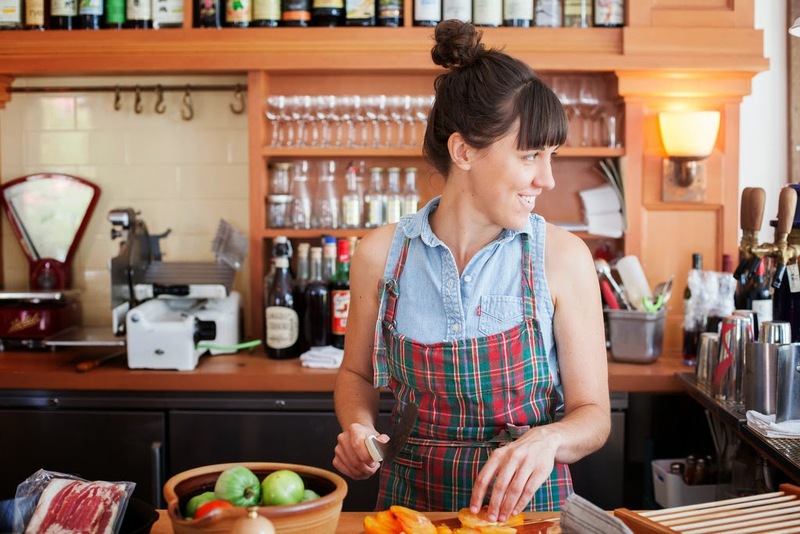 A couple of weeks ago I head the real pleasure of working with the menswear collective MUTINY DC, along with creative director Morgan Hungerford West and photographer Justin T. Gellerson to develop a summer heirloom tomato pie recipe. 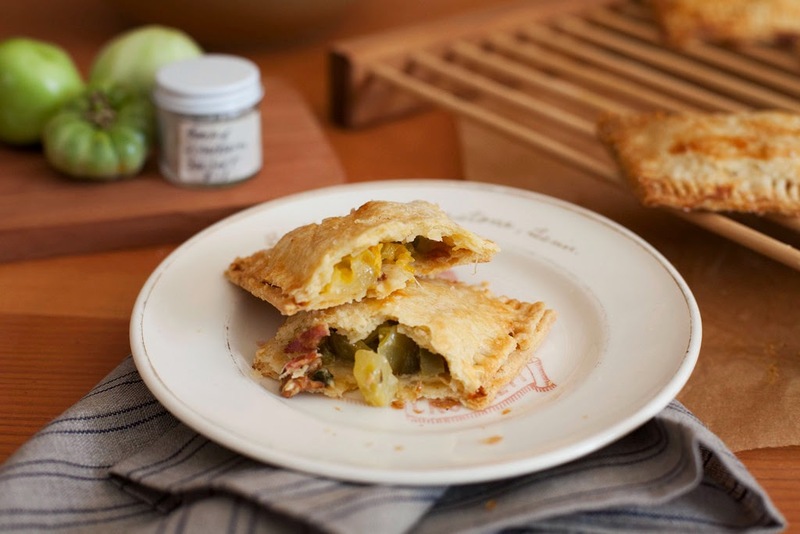 I've been keen on Green Tomato Pies this summer, inspired by Richmond chef Travis Milton and the rave reviews I'd heard of his fried pies at the Appalachian Food Summit. When MUTINY suggested using the unripe summer fruit in hand pies, my mind went to savory and to fond memories of this Tomato Bacon Jalapeno Pie I made for a Buckeye Banjo party a couple of years ago. Subbing in Gordy's Thai Basil Jalapenos gives this recipe its D.C. bearings and complicates the flavor. The result is an adult take on the classic BLT sandwich--my favorite way to enjoy fresh tomatoes--ripe and green--from the backyard garden. If you end up having leftover filling, save it and scramble it with eggs the next morning for a killer breakfast. The other delight of this project, was that the folks at Etto generously let us work in their handsome kitchen, meaning I got to bake these pies (and cook the bacon!) in the beautiful wood-fired oven. Ever had bacon cooked in a brick oven? It's practically DOUBLE SMOKED. I highly recommended it. 1. Prepare Nothing-in-the-House pie crust as per the directions. 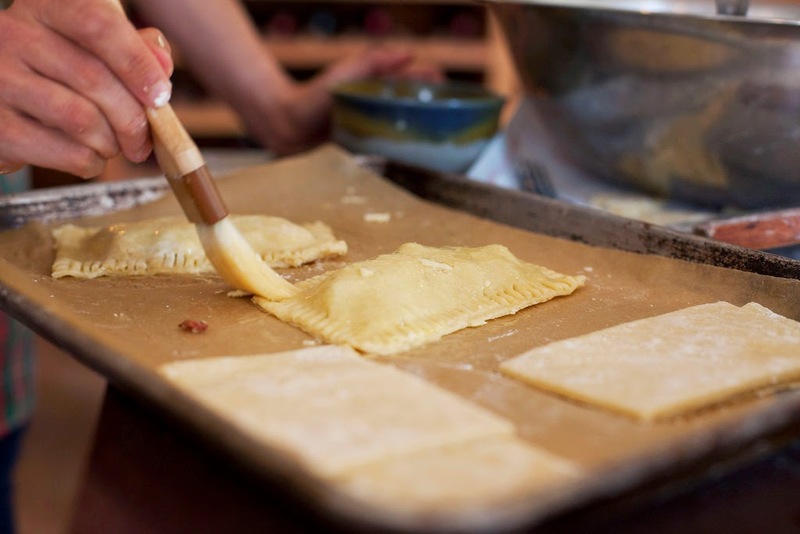 Once chilled, roll out dough onto a floured surface and cut into rectangles of equal size. Place cut crust on parchment paper on a baking sheet and return to chill in the fridge while you prepare the filling. 2. 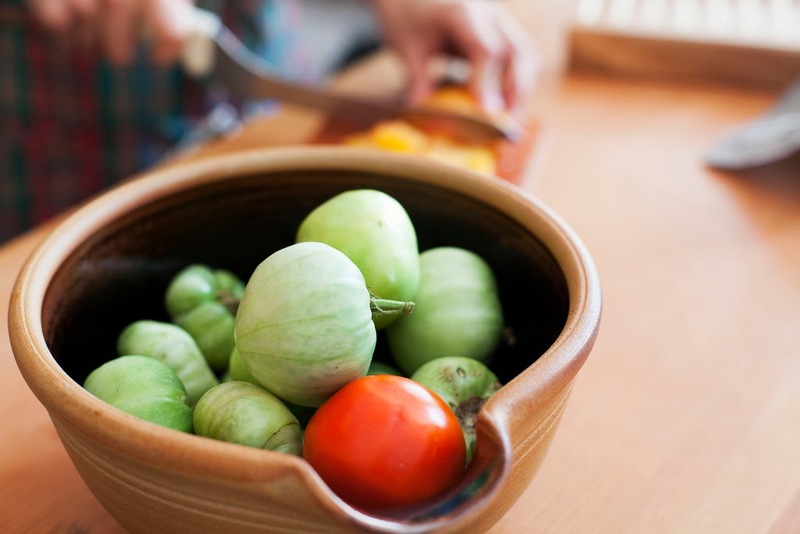 Place diced tomatoes in a colander and place in a large mixing bowl or kitchen sink. Sprinkle tomatoes with salt and toss, then let sit at room temperature for 30 minutes while the juices drain. 3. Preheat oven to 350 degrees F. In a large mixing bowl combine cheddar, minced garlic, drained jalapenos, cooked bacon, basil, cayenne pepper, if using, and the drained tomatoes. Stir with a wooden spoon to combine. 4. Remove cut dough from the fridge and mound filling in the center of half of the cut rectangles. Brush edges of dough with cold water and place a matching piece of dough on top. Press the edges with a fork to seal. 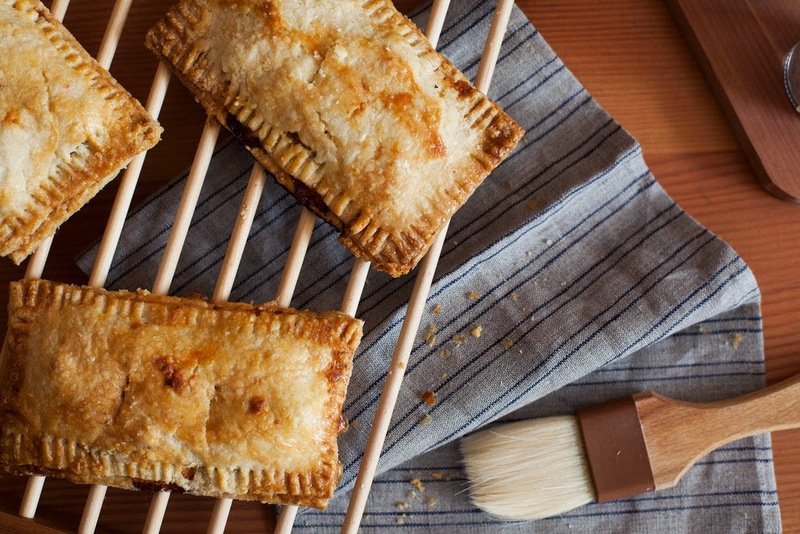 Brush hand pies with egg wash, sprinkle with flake sea salt, and cut a steam vent in the top of each with a fork. 5. On a baking sheet lined with parchment paper, bake hand pies for 35-40 minutes, rotating baking sheet halfway through. Filling will be bubbling and crust will be golden brown when done. Transfer pies to a cooling rack and let cool slightly. Serve still warm. *Tad suggested using a partial lard crust, and I agree that it would be a great complement to the filling. You can replace half the butter in this recipe with leaf lard, or use your favorite butter/lard pie crust recipe. 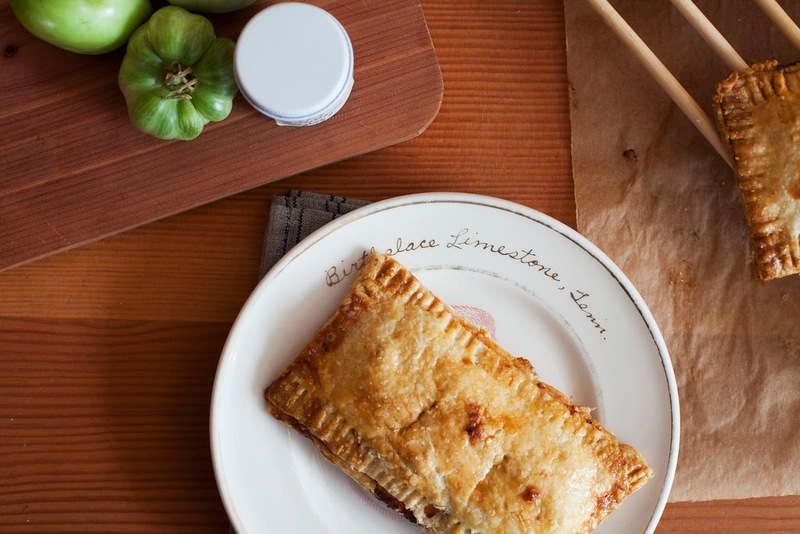 The flavor combination in these hand pies sounds incredible. I don't often make savory pies - or hand pies - but I should change that.